Sprint EVO 3D Pre-Orders Start Today At RadioShack, But Don't Tell Anyone - It's A Secret! 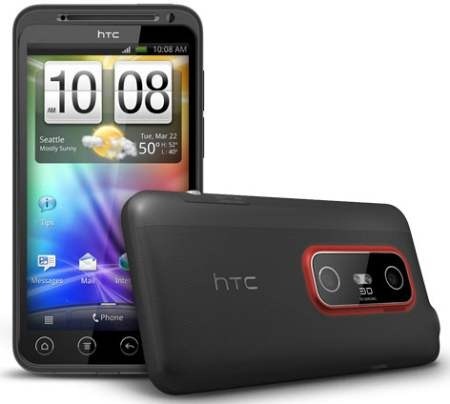 If you've been eyeballing the HTC EVO 3D in anticipation of a launch date, then you'll be glad to know that we're one step closer to achieving that goal. In a semi-unofficial manner, pre-orders for the 1.2GHz dual core, 4.3 inch beast have started at Radioshack - but don't expect to see anyone shouting from the rooftops to let you know about it. You see, while you can pre-order with a $50 deposit starting today, this is apparently a deal only for the informed crowd (such as yourselves), as it can only be honored if you specifically ask for it. Oh, the release date, you ask? Who knows when that's actually going to happen, as the above documentation even states that The Shack has no knowledge of when this is going to drop. 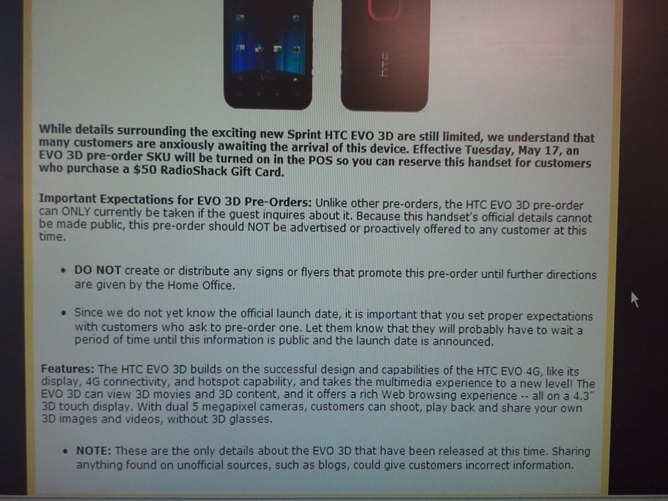 Either way, we have to assume that it's going to happen soon - why else would they be accepting pre-orders? 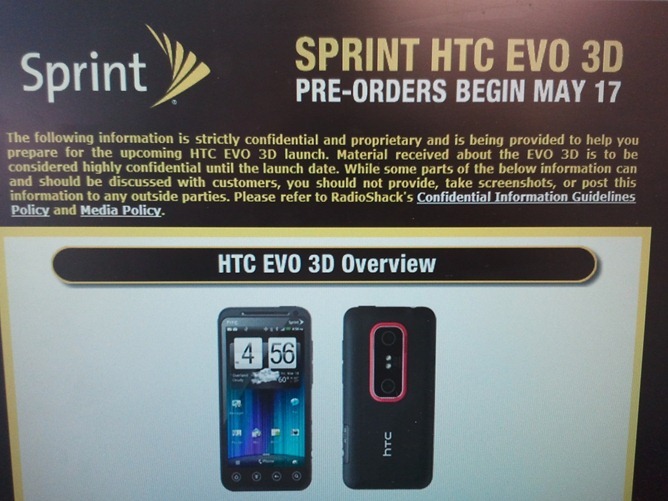 Are you planning on pre-ordering yours today? If so, let us know how the process goes so we can be part of the secret club, too!